D161DT12 is a sub package of AM29DL164DT120,If you need see the description,please click AM29DL164DT120 .If you need D161DT12's datasheet,please download it from below. By Meet Spansion Inc. 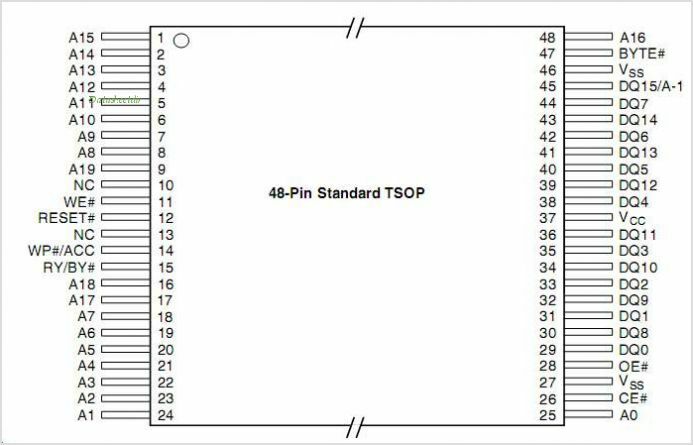 This is one package pinout of D161DT12,If you need more pinouts please download D161DT12's pdf datasheet. D161DT12 circuits will be updated soon..., now you can download the pdf datasheet to check the circuits! X76F041, Pass Tm Secureflash Inc.